Many culturally connected Aboriginal communities span the Northern Territory/Western Australia border. As different laws apply on each side of the border, this can create confusion and misunderstanding for local Aboriginal people. Blurred Borders is a three-year Commonwealth Government funded project that commenced in July 2016. Legal Aid WA is the lead agency working in partnership with the NT Legal Aid Commission. The Resource Kits have been created in consultation with the Blurred Borders Steering Committee, local legal service providers, community workers and Aboriginal people living in the cross-border region. the Northern Territory, from the Victoria River District (Timber Creek, Yarralin, Bulla) across to the WA border, Kalkarindji, Lajamanu, and surrounding areas. Western Australia, including communities between Wyndham, Kununurra and the NT border heading towards Timber Creek; the region between Halls Creek and the NT border; and Balgo, Billiluna, Mulan and surrounding areas. The Blurred Borders project has relied on the expertise of many individuals and service providers who have generously given their time to assist and guide us. We thank everybody who has participated in Steering Committee and Legal Network meetings, community meetings, stakeholder consultations, local art and music festivals, and extensive focus testing, all of which have helped us to shape this project and the resources we have created. We acknowledge and thank Northern Territory Community Corrections for sharing graphic design files and the wallet card concept from their Indigenous Language Resources. These elements provided an excellent foundation for creation of the Blurred Borders resources. 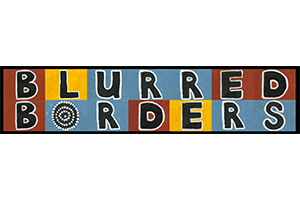 Please download the order form below if you would like to get resources from the Blurred Borders project.